If you or someone you know has a gastrointestinal disorder, you may have heard a doctor use the term “peristalsis” before, and you may be wondering what it is. Peristalsis is a fancy word for the process that moves the food we eat, starting (naturally) at the mouth mouths, traveling through our digestive system, and exiting our bodies as waste. When something like a disease or illness interrupts this process, it can cause serious complications. So if you’re wondering what peristalsis is, check out our health resources center or give us a call. What is this? Why is it important? Peristalsis is a series of wave-like muscle contractions that move food to different processing stations in the digestive tract. It begins in the esophagus when food is swallowed, which is carried to the stomach and churned into a liquid mixture. Peristalsis continues in the small intestine, where nutrients are absorbed into the bloodstream through the small intestine walls; next, the large intestine allows water from undigested food to be absorbed into the bloodstream… Anything left over is excreted from the body as waste. If you want to learn more about motility disorders, or are still wondering what peristalsis is, FastMed can help. We are a great resource for any health-related questions you might have, and we are open 365 days of the year. That’s right, even on the weekend and holidays! 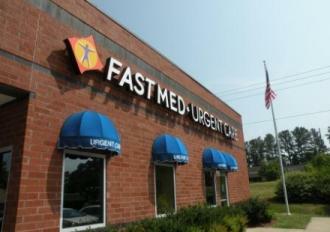 Don’t hesitate to visit FastMed for any questions or concerns about your health and well-being.